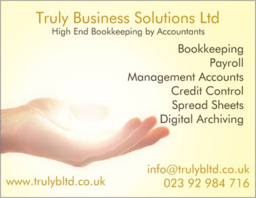 Looking for a great bookkeeper? We can truly save you money on your accounting services. Our online solution allows you access to your accounts securely where ever you have an internet connection. Our solution integrates your documents with your accounts so there will be no chance of losing those important documents. With high end bookkeeping by accountants and someone always available to help by telephone or email. Know what your costs will be for your payroll or bookkeeping with our fixed fee services. We can use your accounting package or you can use our which is free for you to use when you take out our services. We offer a FREE Business Financial Health check, whether you have a bookkeeper or accounts department we can come and check that everything is being done as it should be for FREE!! Every customer who takes out monthly bookkeeping services will receive 3 months of FREE management reporting. Once the 3 months is finished you can choose to keep the service at the quoted fee or opt out at no cost.